The end of every month is a hectic time for PR 20/20. 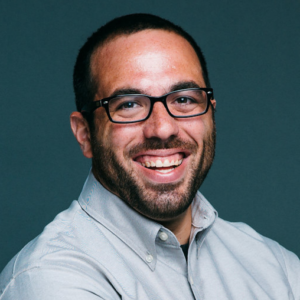 Like most agencies, end of month reporting eats up a lot of bandwidth and resources. Keith Moehring, Director of Labs at the Cleveland-based agency, has overseen key aspects of agency operations as part of his role. (He’s been with the agency for over 11 years.) This includes the technology stack and processes his account teams use to track and report on client performance every month. Between clunky slide decks, spreadsheets, and their own scorecard-based system that varies widely across every client, the agency’s senior management didn’t have a quick, high-level view of client performance across the board. Now that’s never been easier. Today Databox is excited to officially announce Client Performance, the easiest way to track critical KPIs, across all of your clients, on one screen. 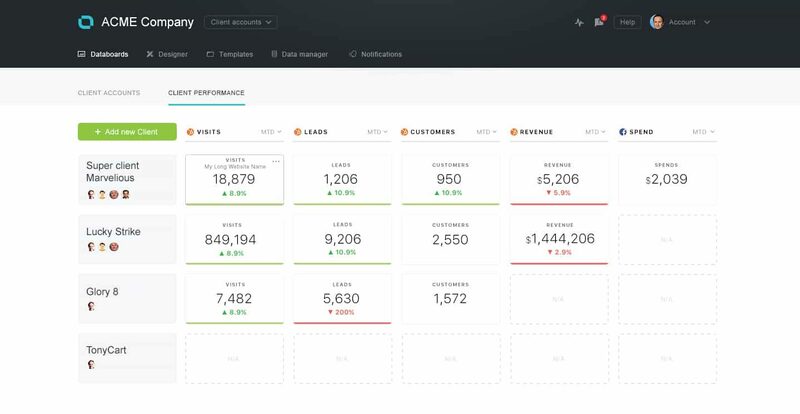 Like our Databoards, the Client Performance dashboard updates in real-time, so you’ll have an up-to-the-minute view on how all of your client accounts are performing so you can prioritize attention, support, and the work that drives ROI when it matters most; right now. 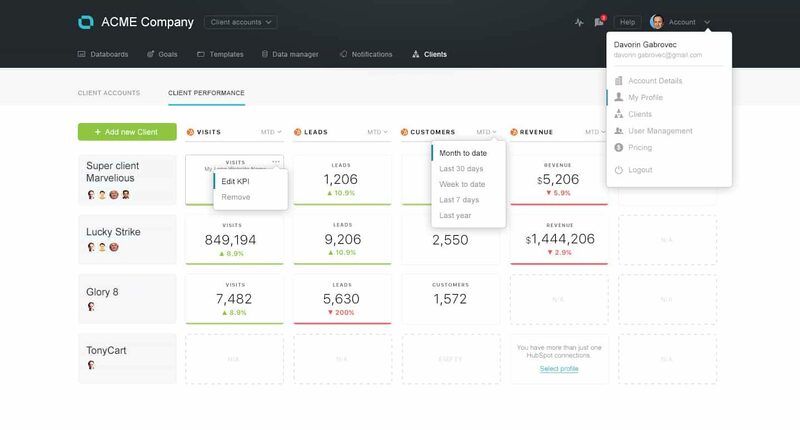 Located under the “Clients” tab in the Databox dashboard is Client Performance, a dashboard that tracks all of the key metrics for your clients, from any connected data source, in one place. On the far left column, you’ll see any of your connected client accounts listed. Each subsequent column after will consist of whatever metric(s), from any of our 50+ connectors, you’d like to track across the board for all client accounts. Atop each column, you’ll notice a dropdown wherein you can choose the metrics and data source you’d like to track, as well as the time interval for which you’d like to track it. Once chosen, that data will automatically populate for all the clients you’ve added to your Client Performance screen. 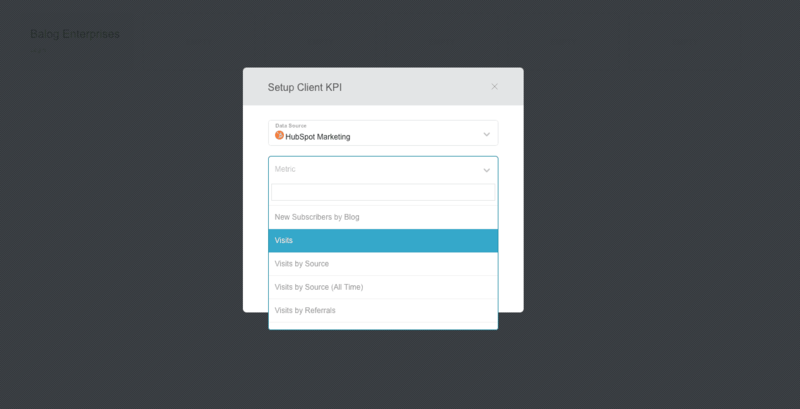 For example, if you choose to track “visits” from “HubSpot” (as seen in the image below), the data will populate for all the clients that you’ve included in your Client Performance dashboard under the “visits” column. You’ll see comparisons for each metric based on the time interval chosen, i.e. comparisons to the previous month if you’ve chosen to filter by “month to date.” We show the percentage change and color-code the block red or green to signal whether the number has increased or decreased. This gives everyone the ability to quickly identify the wins and losses, and most importantly, the adjustments necessary to drive improvements. Need to track different metrics from different data sources for each client? You can do that, too. For example, if some clients use Google Analytics to track traffic, while some use HubSpot, you can customize this screen accordingly. To choose which metrics to show for each client, just change the metric for any of the individual squares. Client Performance works with any data source currently integrated with Databox, so you can create that holistic view for all of your clients that your agency has always needed. Ready to radically improve clarity into client performance? This new functionality is free for existing Databox Agency Partners as well as all Agency Free users. For existing agency partners, simply visit the Client Performance screen to get set up. If you’re new to Databox, all you need to do is set up a free agency account to get started. Then connect all the data sources your clients use. From there, you’ll be all set to start populating client data in your Client Performance screen.